Holy Saturday is one of the most sacred days of the year for all Christians and Catholics. 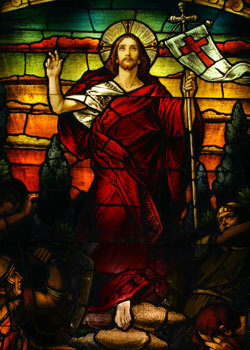 It is a day for us to reflect on the passion, crucifixion, and death of Our Lord Jesus Christ on the cross. It is a day for us to give thanks to the Lord for His mercy, forgiveness, and love. Holy Saturday is also a day of great anticipation, as we wait for the resurrection of the Lord. Tonight the Lord proclaims, by His resurrection, that sin, suffering, death, and Satan have no power over Him. We too can proclaim that sin, suffering, death, and Satan cannot conquer or destroy us if Jesus Christ lives in us. Holy Saturday is a day and night of wondering—the perfect time to reflect on God’s mercy, forgiveness, and love and to give thanks for God’s power, strength, blessing, and life in us. Holy Saturday is the Lord’s Day. Holy Saturday is also our day. Let us be glad and rejoice in it! A happy and blessed Easter to you!